You must have heard the quote that “Health is wealth”. It’s not just a simple quote, in fact, it is the reality. Most of us face many difficulties and worries about our health and fitness. We think of going to the gym, maintaining a strict diet plan, eating fruits and vegetable, etc. which is somewhat difficult to abide by. But now, with the revolution of science and modernization of life, we can make everything decidedly more accessible and useful. In the past, we used to eat raw or boiled fruits and vegetables. But now we have many kitchen appliances such and blenders, juicers etc. which can make our work more relaxed and comfortable. Our Vitamix vs Nutribullet article will help you to find out the best. As technology has brought so many things, now we are confused about what to have and what not. Even this is same choosing an ideal blender which is highly essential for your effective healthcare. There are so many options to choose! And probably you are also searching for the best smoothie blender or any blender which matches your desired fulfilled. 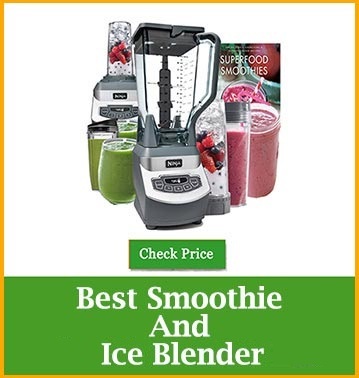 If you are searching for the best smoothie blender or the blender which is best for you, then you came to the right place. After surveying and analyzing the demands and reviews of users like you, we have displayed you the best blenders for yourself. Most of the much-renowned brands like this. We present you their best mixer. 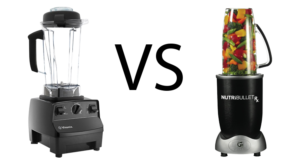 The Vitamix 5200 and Nutribullet Rx. These are one of the most used and reviewed blenders from their company. These will give you the results you have been looking for all these times. Because nothing can be a better gift than better health for anyone. The Good: The powerful motor runs at 37000rpm, So it’s a matter of some few seconds to crush anything. Smoothies, frozen cocktails, hot soup –you can make anything with it. It’s user-friendly and effortless to use. It can deliver excellent performance even after rapid use and heavy pressure. Another great thing is it comes with a seven-year-long warranty. And the company provides outstanding after sale service. So this is a machine on which you can depend. The bad: Many users of Vitamix 5200 thinks this machine is noisy.Maybe its powerful motor is the reason behind it. Its fixed blades cause some disturbance at the time of cleaning. The Bottom Line: This is a professional machine. It can handle work pressure. You can crush anything and everything within a minute. It can be used for seven to ten times in a day, and every day, for years. It’s easy to use interface has made it user-friendly. This is for those persons who want to have a dependable machine. This exemplary hard-working device is ready to become a piece of art in your kitchen cabinet. It’s costly, but this tool from Vitamix worth it. The Good: The Nutribullet Rx is the best and the most powerful blender of Nutribullet Franchise. It’s not only a regular blender, but it’s also a 1700 watts blending beast which can mix anything from your kitchen pantry. Its powerful motor can blend, grind, smooth, and crush anything in the best possible way with the press of a button. It’s completely automatic. Also, it can make hot soup which is a great and advantageous feature within this price tag. The Bad: It’s an entirely auto operated machine which uses advanced functions to do the mixing, but it lacks manual settings which might be necessary for others. For its super powerful motor, it’s comparatively loud. It’s a single serve blender, and it is better no to use as a food processor, it’s not made for that. 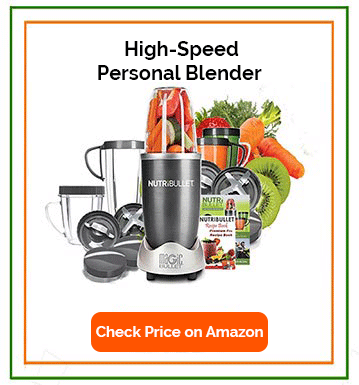 The Bottom Line: The Nutribullet is a very powerful blender which can do all sort of blending, grinding, chopping and it can make the perfect smoothie. It has automatic functions which will do everything without looking at it. It is very time and space savvy. And mostly, it is in your budget. All I have to say in the Vitamix vs Nutribullet, both blenders have the highest quality and perform comprehensively within reasonable price. If you have a large family and you have a bigger budget and plan to do more than making smoothies, then Vitamix 5200 will be the right choice for you. On the other hand, Nutribullet Rx is excellent for single person use and convenience with a cheaper price option which is in your budget.